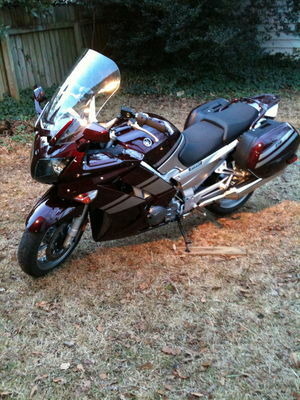 I bought this 2007, Generation 2 FJR from Ron Ayers Motorsports in Greenville, NC from salesman Jim Hardison in January of 2010…for my birthday, thanks to my now ex wife. If you should visit, look Jim up; he treated us very well and made the experience great! Anyway, the bike’s original owner was a retired state trooper and it was definitely babied. Smooth power, oodles of acceleration and awesome handling are how I’d sum up the FJR. This bike is designed to chew up the miles quickly while still retaining the ability to deftly carve corners. This piece of kit entirely replaces the OEM triple tree (top mount) and is made of a solid piece of aluminum, unlike the OEM one that is hollowed out on the underside. An exceptionally nice looking piece of kit that allows the placement of a RAM Mount ball in the center of the stem nut. I don’t have a Garmin Zumo, just a Quest. I’m also considering an Aqua Box in combination with our car’s Nuvi GPS…which would give me a larger screen. This installation gives a very clean look. The fit and finish of the MCL stem nut was perfect. We needed something stout to haul our gear on, but weren’t ready for a full-on top case, so we opted to get the “FJR Sport Touring Rack” from PCA. This is a great looking rack! Professional build quality and an excellent finish. In use, I found no shortage of tie points and the gear stayed rock solid for the entire trip. This rack easily accommodates a top-box, so it offers a bit of flexibility as well. Cable for clutch side heated grip runs through the left side switch box via cutout done with Dremel. I like to ride year round, but my hands don’t like to. 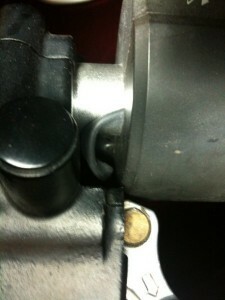 To solve this problem, I set about “winterizing” my FJR by first installing a set of Symtec Grip Heaters. 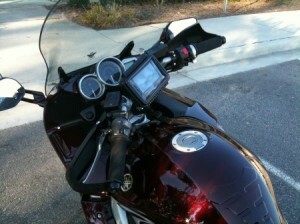 Compared to the OEM Yamaha heated grips, the Symtec’s are an absolute steal…and they work very well! Installation was fairly simple; remove the grips, clean the bars of any old grip glue, peel and stick a Symtec heater to each bar end…being careful to leave slack for the throttle side. After that, glue on a new set of grips and you’re done. 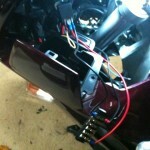 The remainder of the process was routing the wires to the included switch, which gets mounted in the dash. You can also control these heaters with a Heat-troller, but I haven’t gone that far yet. The switch you get isn’t the best piece of gear, but after a few months of cold and rain, it’s held up just fine. You can read more about my adventures doing the installation here. 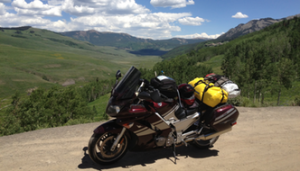 Yes, the V-Strom hand guards are made for a Suzuki; however, they also are a near perfect fit for the FJR as well! When used in conjunction with heated grips, you end up with a great defense against cold and wet hands. For the FJR’s purposes, these guards serve mainly to keep the wind off the hands, but you’ll find that when it rains, these guards do a pretty good job of deflecting rain at speed…helping keep your hands relatively dry. 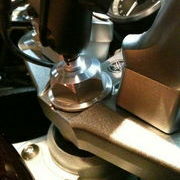 Many FJR riders choose to go with the guards rather than wiring up heated grips and they do just fine. I went with both and the results have been great! When you order the kit from FJRGoodies.com, you’ll get everything you need to install these bad boys – the guards, lever studs and screws. Installation was fairly straightforward; however, be prepared to break out the Dremel to trim each “fork” on the outer arm of the guards so that they’ll fit around the bar end weights (this is a fairly well known process for these guards). I have a BrakeAway throttle lock installed on my bike and it creates two issues with the handguard installation that you’ll need to account for. First, the lower mounting point on the throttle side guard is, for all intents and purposes, unusable with the BrakeAway installed. This really isn’t a problem since the guard is very solid with just the top mounting; however, to fit around the BrakeAway’s intricate stabilizing bits, you have to trim a lot of the guard’s lower inside edge away. Again, this does not affect the usability or stability of the guard, it just takes a lot of fiddly work to get the guard properly situated around the BrakeAway. Second, the BrakeAway throttle lock takes up some real estate on the throttle tube, sliding the grip down the bar nearly a 1/2″. BrakeAway provides a spacer that goes in behind the bar end weight to provide stability for the outer portion of the grip. That’s all fine and good, but it creates a problem for the guard…it gets slightly stretched out to accommodate the extra bar end length. It doesn’t really hurt the mounting of the “forked” end of the guard; however, you’ll find that it will bind the throttle if you don’t take it into account. I solved the problem by adding some washers to the bar end to move the guard’s fork away from the grip and eliminate the binding. If you were to look closely, you’d see that the guard is ever so slightly pulled out more, but otherwise, it works great! I plan to refine my guard installation a bit at some point as there is at least one forum member creating some fine looking bar end hardware made just for these guards that I’d like to try. For now though, these hand guards are doing the job I bought them to do and they’ve extended my riding season greatly! Check out my “Project Hothands” Article to see what it looks like and where I installed it. A barrier strip is really nothing more than an electrical junction that splits power from a main source out to multiple items (accessories in the case of the FJR). There are some commercial products (e.g. Fuzeblock) that do the same thing with more features and more elegance, but if you’re on a budget, then you can achieve the same results with a few dollars spent at your local Radio Shack. I referred to the article on the FJRTech.net site for help. The barrier strip and relay. keeping the mess down to a minimum in the battery area; the barrier strip accomplishes this goal. Many FJR riders mount a strip under the seat and, while I considered doing this, I chose a location on the rear external face of the glovebox since my grips and GPS were the primary goals for power this time around. Installation was fairly straightforward. 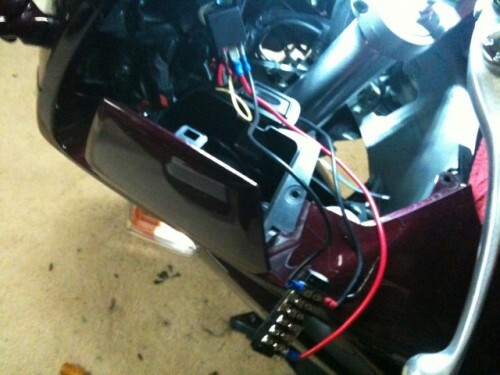 I first installed two leads (red and black wires) from the battery (with an inline fuse close to the battery) and ran them behind the dash over to the left side of the bike. On the front external face of the glovebox, I installed a relay that tapped into the front left running light for signal power and ran the hot lead to it. I then continued with both leads to the back of the glovebox and secured them to opposite ends of the barrier strip. I should mention that I clipped the metal plate of the barrier strip in two so that one half would be “hot” while the other half would be the ground. With the barrier strip powered, I secured it to the backside of the glovebox using super-strength velcro and then hooked up my accessories. With the relay in place, power only hits the barrier strip when the ignition is “on”, eliminating any chance of inadvertently draining the battery if the GPS or heated grips get left on. The barrier strip was easier to install than I thought and I’m an electrical newbie, so I was pleased with the end results. Eventually, I’ll probably get a Fuzeblock and install it under the pillion seat and redo my accessory wiring, but for now, the basic barrier strip is doing the job well. The stock mirrors on the FJR are adequate; however, if you run 2up or add hand guards, you’ll find that the stock mirrors simply don’t measure up…you really have to work to get a view of the rear. 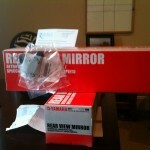 The answer is OEM FZ1 mirrors! It takes around two weeks for them to arrive as Zanotti, or any other dealer I would guess, needs to order them from Yamaha. 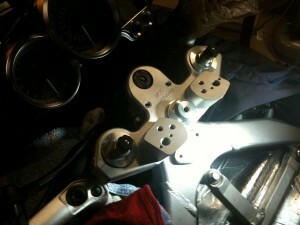 Installation was pretty straightforward…they simply mount using the same hardware as the stock mirrors. 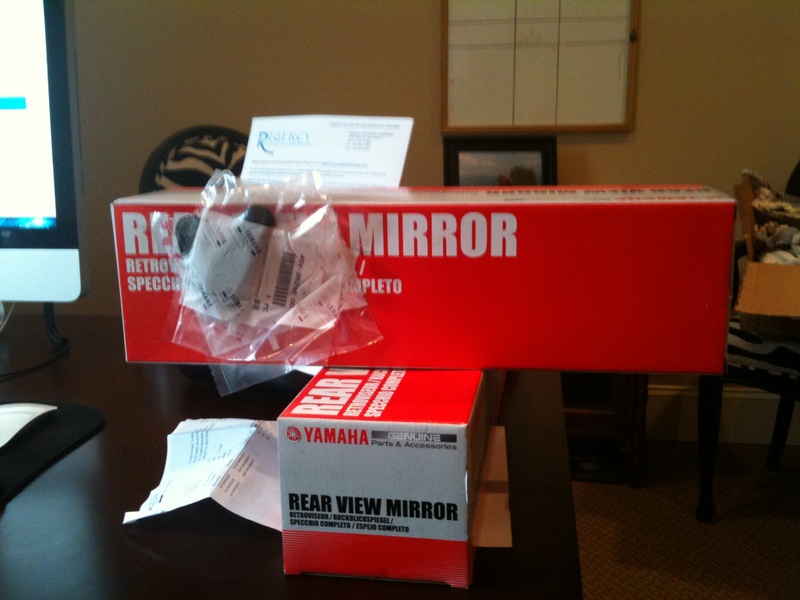 The stays for the stock mirrors protrude about 1/8″ inch above the surface of the fairing; the stock mirrors take this into account, the FZ1 mirrors do not. What this means is unless you change the stays or grind them down flush with the fairing (a scary proposition if you leave them on the bike while doing it), you’ll end up with a 1/8″ gap under the “boots” of each FZ1 mirror when it is installed….this is what I ended up with. You cannot notice the gap until you get up close and look, so it’s NOT a big deal and should NOT be a deterrent to having MUCH improved rearward visibility, which is what I ended up with by using the FZ1 mirrors. I should add that the studs for the FZ1 mirrors do not account for the extra length caused by the stays on the FJR, therefore, you’ll likely end up with the ends of the studs just about flush with the nuts when you have them tightened down and solid. I did dab some blue Loctite on each stud for extra insurance. 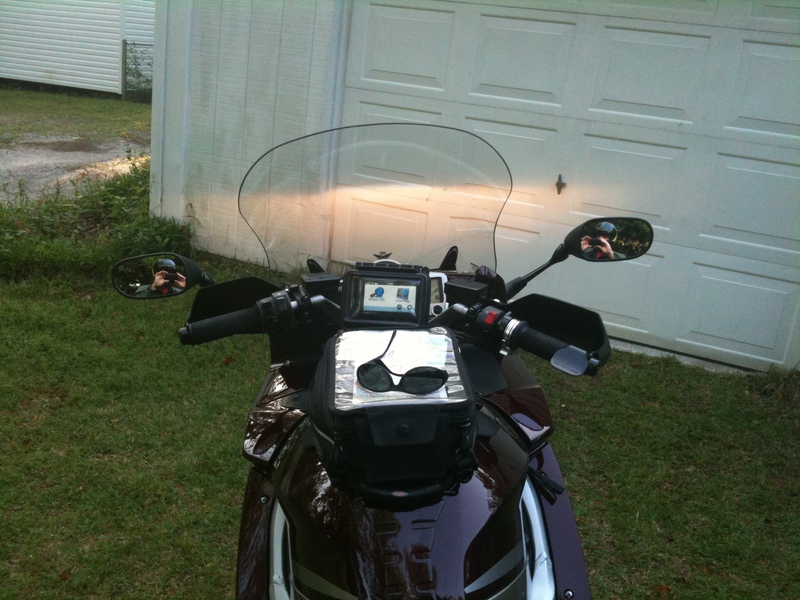 With the FZ1 mirrors installed, the rearward view is spectacular…it’s really like a whole new world out there! There is no vibration, no added wind noise, or any other anomalies that I could find; they just work! This is a safety improvement I heartily endorse! 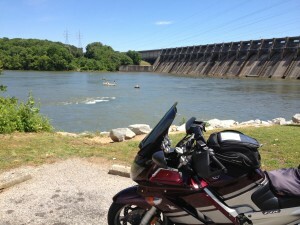 The bike’s been pretty “perfect” for the past couple of years, but there was always something nagging me during the moist summer months here in North Carolina…the V-Stream windscreen simply blocked too much air, leaving me to sweat it out. After nearly passing out from the heat on a ride in 2012, I decided to make a change before the 2013 summer by picking up a shortened windscreen. 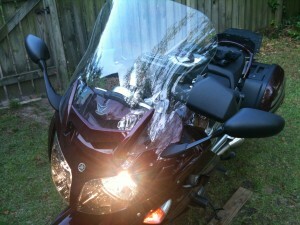 I didn’t have a stock screen to fall back on, so I decided to buy the Tinted Shorty windscreen from California Scientific before I struck out on my ride to Colorado. The shorty came in a nice cloth bag with a few accessories like a cleaning solution and towel, plus some mounting fasteners (I just re-used my current fasteners). It mounted up easily, all holes matched up to the FJR perfectly, and looked pretty good in place. The Shorty sits up more than my V-Stream or a stock screen does (compared to my riding buddy who has a stock screen) and provides pretty smooth, turbulence-free, airflow right to the middle of my chest…where I can unzip my suit enough to let cooling air flow in (it’s awesome, really!). The length of the shorty is the same as the stock screen, but the shape is different and that is the likely reason for it providing smooth airflow where the stocker, I’m told, does not. About a month after getting the Shorty, I headed off on my two week trip out to Colorado where the windscreen worked perfectly! The Shorty can still block a substantial amount of air when fully raised…something that surprised me a bit. Anyway, if you’re looking for better summer cooling, the CalSci Tinted Shorty is definitely something you should consider.